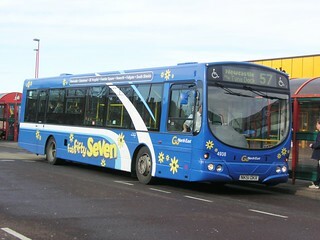 In order to eliminate flipdot displays from the Go North East fleet, spare LED displays removed from scrap vehicles are being used to replace the old flipdot displays. 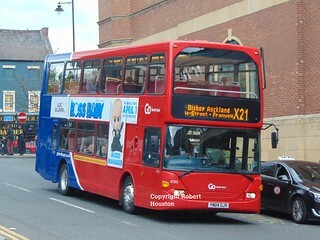 As such, this vehicle has now been fitted with a side LED display. 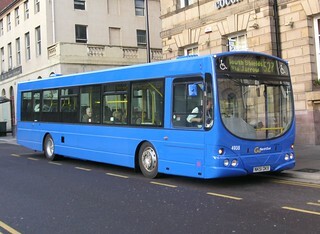 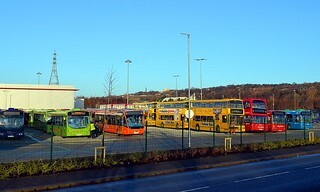 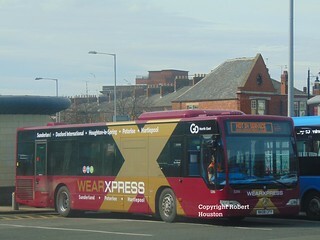 This vehicle has received "Green Arrow" branding, with sub-branding for services 97/97A (Newcastle - Metrocentre). 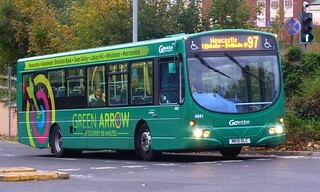 The new "Green Arrow" brand replaces the current branding on "The Highwayman" services 97/98, coinciding with service changes which will take place at the end of October. 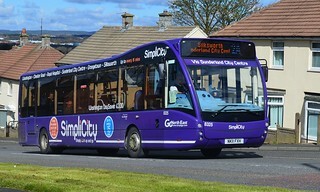 Ahead of upcoming service changes; this vehicle has lost its "The Highwayman" branding, having been repainted into a dark green base livery.